Though fans will likely have to wait until 2019 to see Child's Play, the newest take on one of the most famous horror movie franchises that will bring a modern version of Chucky to the masses, studio MGM has teased what the demonic serial killer trapped inside the cutesy, ginger-haired doll will actually look like. 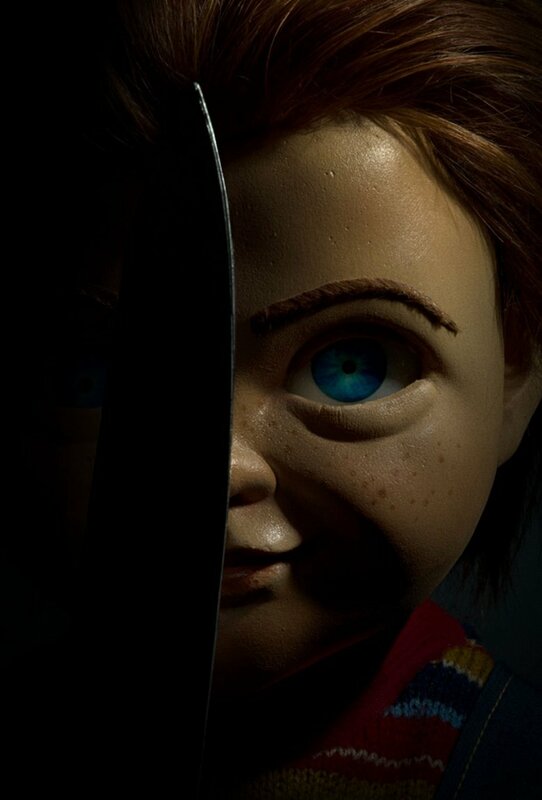 Entertainment Weekly shared the first official look at the new Chucky in the Child's Play remake – and let's just say that longtime fans, people who have seen a few installments in the Child's Play film series, and those who only know about Chucky but are too afraid to actually watch the movies will probably do a double take. With the same red-orange locks, big blue eyes, colorful striped sweater, smattering of freckles, and smile that conceals a deeply sinister nature as the original doll, the new Chucky hasn't been completely overhauled — but he looks, well, a little strange compared to his predecessor. Seemingly gone is his hairdo that spikes out in different directions, with a slicked-back — refined, even — style taking its place. The always-expressive face of the Chucky of the old days has been swapped in favor of a smoothed-over mug that makes it seem like the doll visited a plastic surgeon for a little Botox. Sure, the new Chucky still wields a massive kitchen knife, his weapon of choice in attacking his unassuming human victims, but there's something about him that a lot of people are raising their eyebrows at. Slashfilm's Chris Evangelista wrote in reaction to the first-look photo, "There's something far too clean about this image; too slick. In short: I hate it." The Hollywood Reporter contributor Richard Newby felt even more disturbed by the new Chucky, tweeting, "Listen, I don't wish bad things on anyone but if New Chucky fell into a vat of acid I wouldn't complain." He added in a separate tweet, "And furthermore, if I saw he was drowning, I would not lend a f***ing hand. I have no respect for a non-Mancini Chucky." The person whose opinion arguably matters more than anyone else's is, of course, Don Mancini, who wrote the story and co-penned screenplay for the original Child's Play. After EW shared the MGM-issued photo of the new Chucky, Mancini headed to Twitter to share his honest, unfiltered thoughts on what the Child's Play remake team had done with his creation. Mancini shared a meme of Mariah Carey holding up a sign that reads, "I don't know her." (For those unaware, the quote is a reference to a past interview in which Carey, when asked about Grammy-nominated artist Jennifer Lopez, uttered the passive-aggressive line, "I don't know her.") Mancini typed out an all-caps caption to accompany the hilariously shady photo: "THIS IS ALL I HAVE TO SAY ON THAT SUBJECT." Chucky getting a physical facelift isn't the only thing fans are up in arms about when it comes to the new movie. 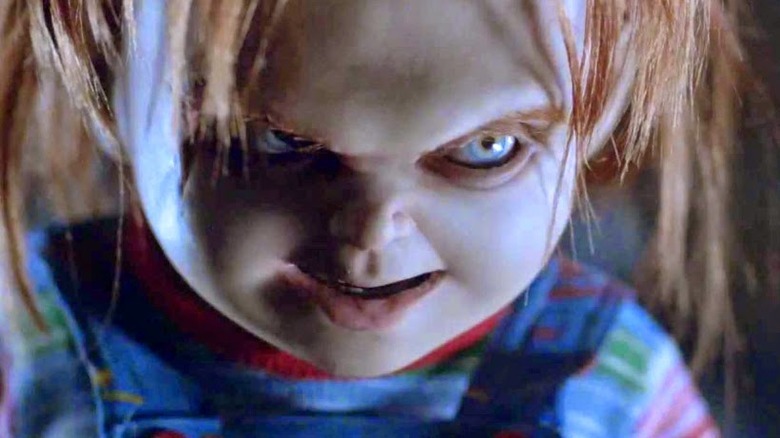 Plenty are upset about the existence of a Child's Play remake in the first place, particularly because it doesn't include any of the original film's creative team and won't feature Chucky voice actor Brad Dourif. "Why must there be a reboot, can't they just make a new film with a new toy. Why must they touch our beloved Chucky?! I'm devastated at the news," one fan wrote on Twitter around the time the Child's Play remake was first announced. "It's strange. When people reboot things, they usually set out to make it better. CHUCKY IS PERFECT. He doesn't need to be better." Actress Christine Elise, who starred as Kyle Simpson in the 1990 sequel movie Child's Play 2 and made cameo appearances in 2013's Curse of Chucky and 2017's Cult of Chucky, previously rallied against the Child's Play remake as well. In August 2018, Elise told Horror Geek Life, "I think it's an unbelievably huge d*** move [to remake Child's Play.] I think it's a d****e move absolutely. I don't know why they would f*** with a healthy franchise. To make a competing franchise with an existing, and like you said healthy, robust franchise, is super d****ey. And nobody from the original franchise is involved; they're not gonna have Brad Dourif, they're not gonna have Don, and they're not gonna have any of us … to so insensitively threaten the Don Mancini empire I think, is f***ed up." The new take on Child's Play will be different from the original in more ways than one, but hopefully the all-star cast can make the refresh great. Directed by Polaroid filmmaker Lars Klevberg, with a screenplay by Kung Fury 2 writer Tyler Burton Smith, the Child's Play remake stars Aubrey Plaza as Karen Barclay, the mother who gives her young son Andy, portrayed by Gabriel Bateman, a doll as a present. Little do either of them know that the doll is actually possessed by a serial killer named Charles Lee "Chucky" Ray. Atlanta actor Brian Tyree Henry will appear alongside Plaza and Bateman as Mike Norris, the detective tasked with solving a string of murders — ones presumably committed by Chucky. MGM hasn't yet announced an official release date for the new Child's Play.